Since Valletta Glass started its operation almost thirty years ago, skilled men has endured the tremendous heat to create beautiful forms from the fire using nothing more than their breath and a few simple tools. Working hard to polish their skills to uniformity and precision, each creation is as individual as the maker. A big variety of Valletta Glass unique pieces is available at this Luxury Malta Hotel’s Gift Shop, which is open daily from 8:30 am to 6:00 pm. Should you wish to see a master of this craft at work, please contact Josette or Chris at our Executive Chauffeur Driven Office in the Grand Hotel Excelsior Lobby and we will help you get to the Crafts Village in Ta’ Qali, limits of Rabat, which is also very close to Old Capital City of Mdina. If you would like to experience Malta and its traditions, the dedicated team at this leading Luxury Malta Hotel will help you plan your holiday. 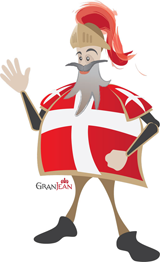 So book your Malta Accommodation in a centrally located hotel near Valletta. 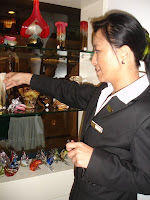 This entry was posted in Luxury Malta Hotel on July 28, 2011 by admin. 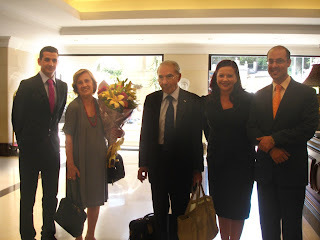 VALLETTA, MALTA, July 2011 – Earlier this month, the Grand Hotel Excelsior was honoured to host Professor Giuliano Amato and Mrs Amato during a visit to Malta. Professor Amato is President of the 150th Anniversary of the Unification of Italy Committee, and Vice President of the Convention of the Future of Europe. He twice served as Prime Minister of Italy and was elected to the Senate, representing Tuscany. Professor Amato expressed his pleasure with the warm welcome extended at the Hotel. “I am impressed that all of you can speak Italian”, Professor Amato told team members as he was checking into his room. Italian tourists, who happened to be in the Hotel’s lobby upon his arrival, were surprised and very enthusiastic to see one of their leading politicians. For an enjoyable holiday in Malta packed with events and activities stay in a centrally located Luxury Malta Hotel which is within walking distance to the capital city, Valletta. This entry was posted in Luxury Malta Hotel, Valletta on July 25, 2011 by admin. Set like precious gems in a sea of purest blue, the five islands of Malta, Gozo, Comino, Comminotto and Filfla offer a diverse and captivating experience, both above and below the water. The warm clear blue Mediterranean surrounding the Maltese Islands beckons divers down to discover many hidden delights most of which are world renowned and frequented by thousands every year. Safe tideless water offer year round accessibility with Summer presenting its own character and charm. The Islands are honeycombed with stunning caves, caverns and grottos to be explored and enjoyed by those who know where to find them. 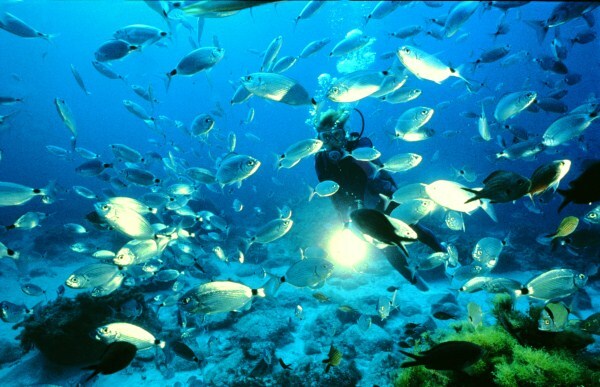 Whether you are an absolute beginner or an experienced diver, we can help you do the right choice to immerse yourself in this splendid underwater world. Check Out Our Malta Diving Package and for more details kindly visit Our Dive Malta Page. This entry was posted in Gozo, Malta, Maltese Islands, Mediterranean on July 22, 2011 by admin.